Blend them to make smooth consistency drink. Garnish with chopped coriander and mint leaves and serve chilled! 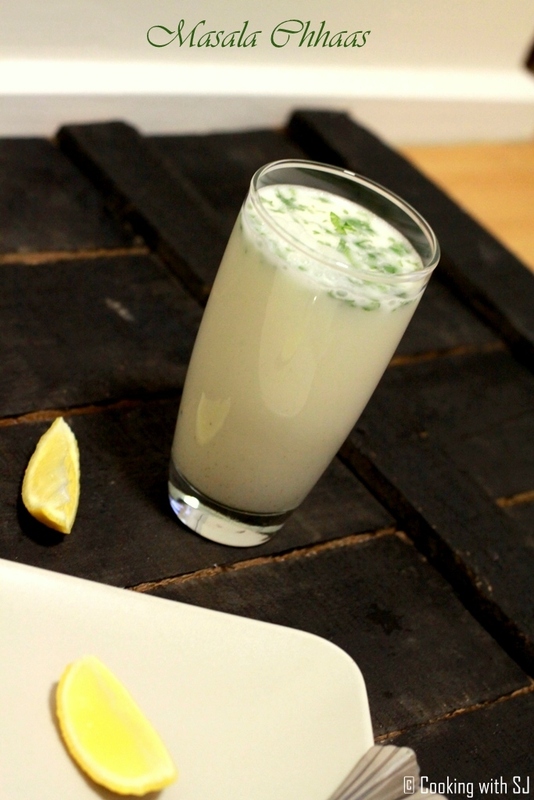 Make half buttermilk glass and half selzer water/plain soda for refreshing drink. I love chaas…. I have it on most days as simple majjiga as we call it in Telugu; 1 part dahi churned with 3 parts water. Sometimes I add hing to it other times not even salt. I love Chaas/lassi made with full cream home made yoghurt!! The addition of coriander and other herbs takes it to a higher level.